Every hard working person knows there’s nothing better than a good, soft cotton shirt. You don’t have to be heading out to a job site to appreciate the smooth comfort of cotton, either. But we want to make sure no matter what you’re up to for the day, you’r ... (see full details) (see specifications) #TB0A1HEZC81. Every hard working person knows there’s nothing better than a good, soft cotton shirt. You don’t have to be heading out to a job site to appreciate the smooth comfort of cotton, either. But we want to make sure no matter what you’re up to for the day, you’re comfortable in this Timberland PRO Men’s Cotton Core Grey TB0A1HEZ C81 Long Sleeve Shirt. The 100% cotton fabric and design are made for movement, so this will easily be your favorite long sleeve t-shirt. Enjoy the classic comfort in a men's grey shirt that's rugged enough to survive everything you put it through in a day. There’s a reason everything you wear that's comfortable is made from cotton. Cotton has been the material of choice for clothing for longer than you might think, so why ruin a classic? Timberland doesn’t think you need to. That's why this men’s long sleeve work shirt is made from 100% cotton. Woven in a jersey knit for a lightweight, stretchable fit that moves with you no matter what you’re up to, this Timberland PRO shirt will easily earn its place as your favorite work tee. The lightweight 6.5-ounce fabric is also pre-shrunk so it has excellent shape-retention, too. This garment is tagless because no one really likes to deal with itchy tags anyway, right? The side-seam construction makes sure your grey shirt moves with you, not against you. This means as you reach and move during the day you have less adjusting to do when you’re done...so there’s another daily annoyance you no longer have to put up with each day. The rib knit collar and cuffs stretch easily when you need them to and bounce quickly back into place when you’re done for a great fit every time. The chest logo is screen-printed for a nice addition to your look. Comfy and classic, this is what you need for your work day - there's everything you love about cotton in this Timberland PRO Men’s Cotton Core Grey TB0A1HEZ C81 Long Sleeve Shirt. 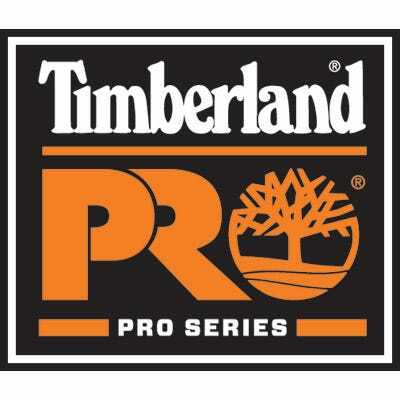 Timberland PRO Workwear: Men's Cotton Core Grey TB0A1HEZ C81 Long Sleeve Shirt is being added to your cart.